SO WHAT IS DATA EXCHANGE? Watch the below videos to see first-hand how using our employee data exchange option with your CustomFit website can help you better manage your safety footwear program. You can view individual stats, orders, purchases, returns and more for easy reporting, tracking and control. And uploading and customizing your employee data information is simple. See how a leaner and more efficient corporate shoe program is now possible and easy to manage. 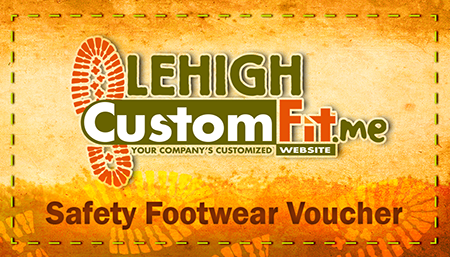 If you use multiple venders our Voucher Program may be a better fit for your company. Check it out here.